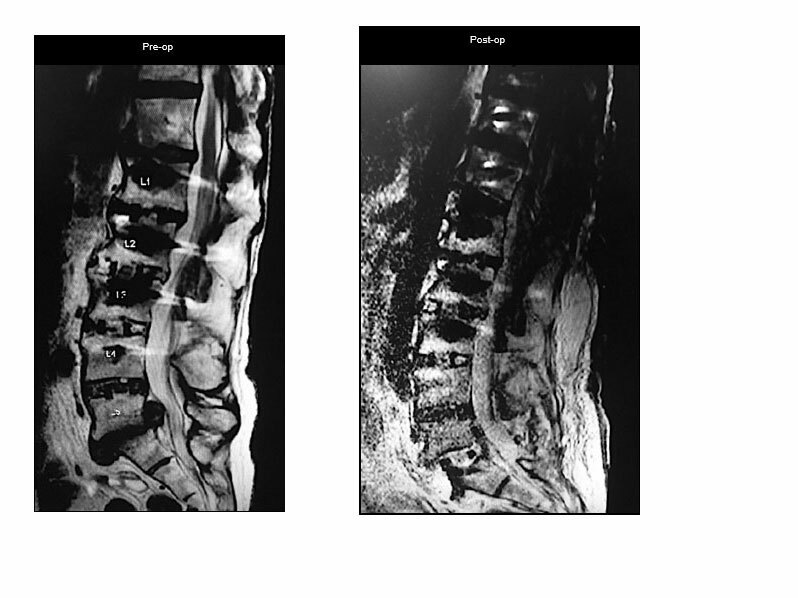 A 67-year-old female presented with incapacitating back pain and severe sciatica pain. 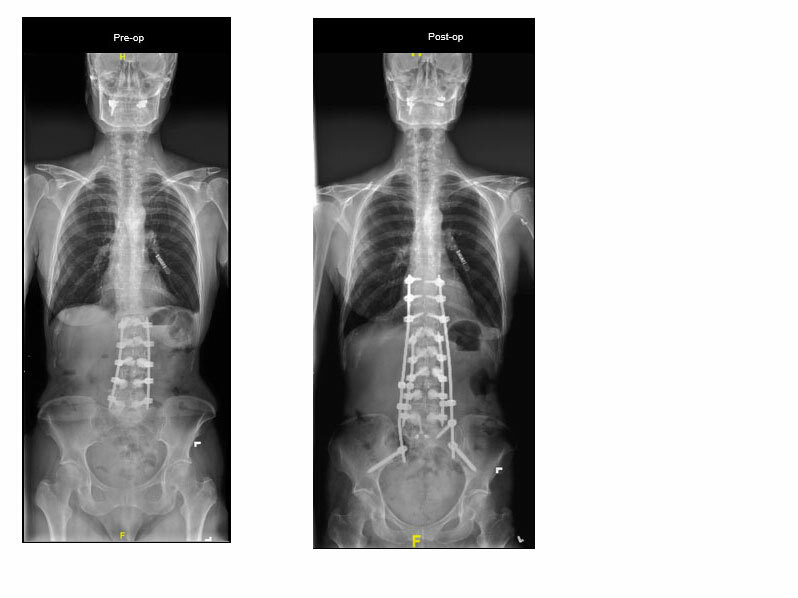 She had previously undergone a L1 – L5 interbody fusion with posterior percutaneous pedicle screw fixation with cement augmentation. She attempted conservative management with no response. 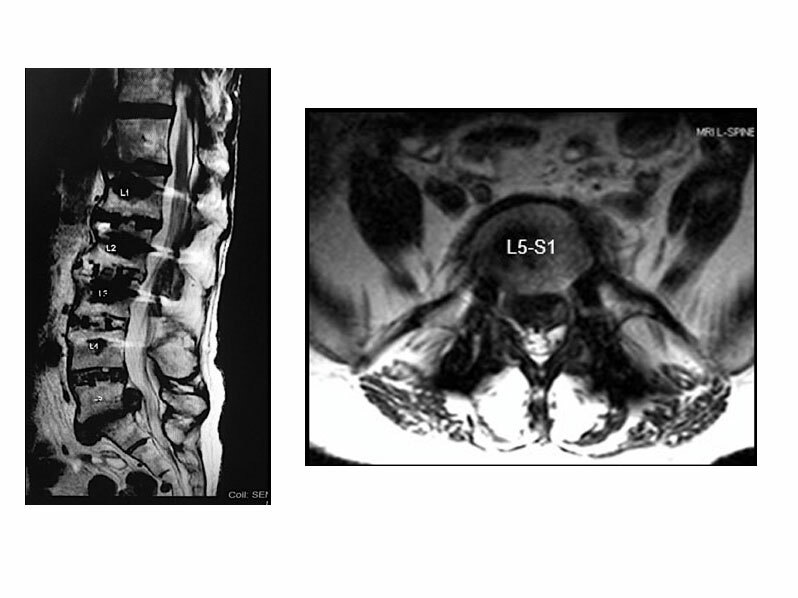 Imaging demonstrated proximal junctional kyphosis and distal junctional kyphosis at T12-L1 and L5-S1, with a large herniated disc at L5-S1. 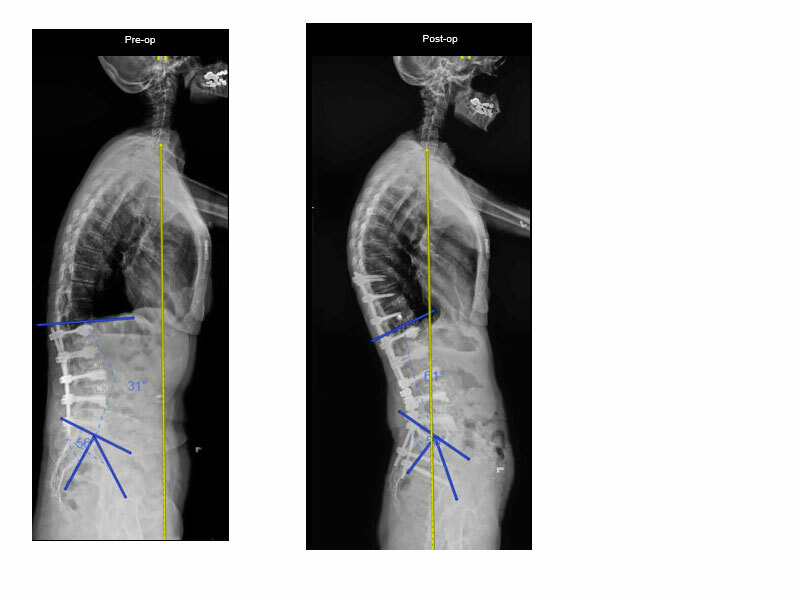 Proximal and distal junctional kyphosis. Stage 1: L5 – S1 anterior lumbar interbody fusion. 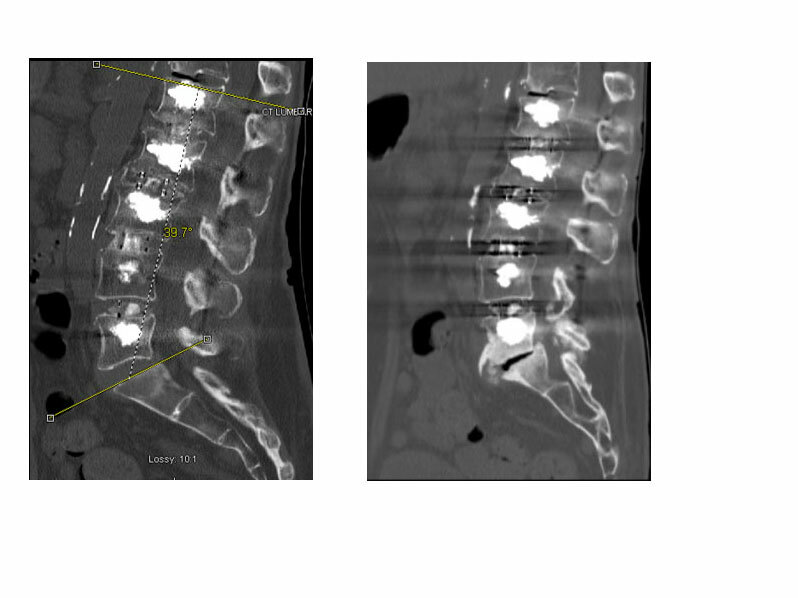 Stage 2: T11 – L1 lateral lumbar interbody fusion, with T12 – L1 anterior column release. Stage 3: T10 – Ilium percutaneous pedicle screw fixation. 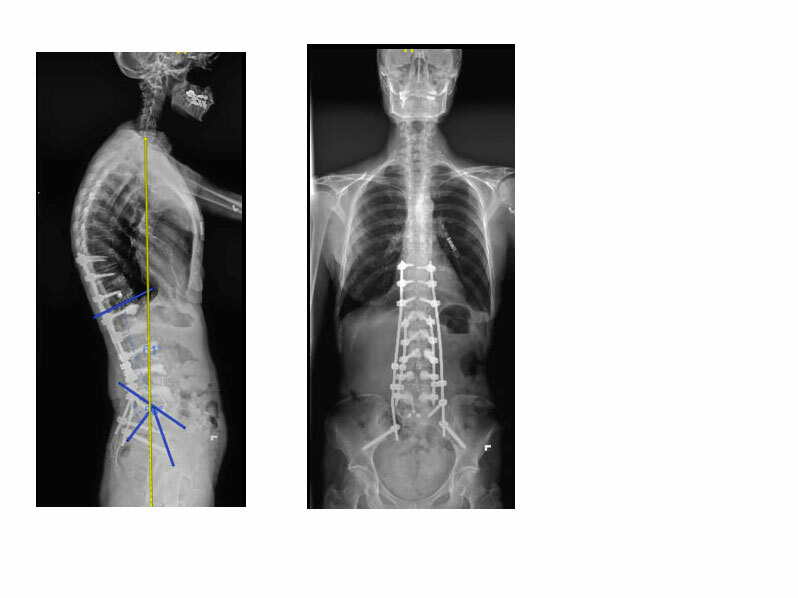 We placed percutaneous screws from T10-Ilium, skipping the previously fixated levels, and used a computer-assisted rod bending system to contour the rod to our desired parameters before passing it percutaneously. Stage 1: L5-S1 anterior lumbar interbody fusion with anterior column release. Stage 2: T11-L1 lateral interbody fusion with T12-L1 anterior column release. Stage 3: Posterior percutaneous T10-Ilium fixation with the use of a computer-assisted rod bending device and connection to prior rod construct. By utilizing a minimally invasive approach, we were able to achieve the surgical goals, with minimal soft tissue disruption and an estimated blood loss of less than 400 cc. 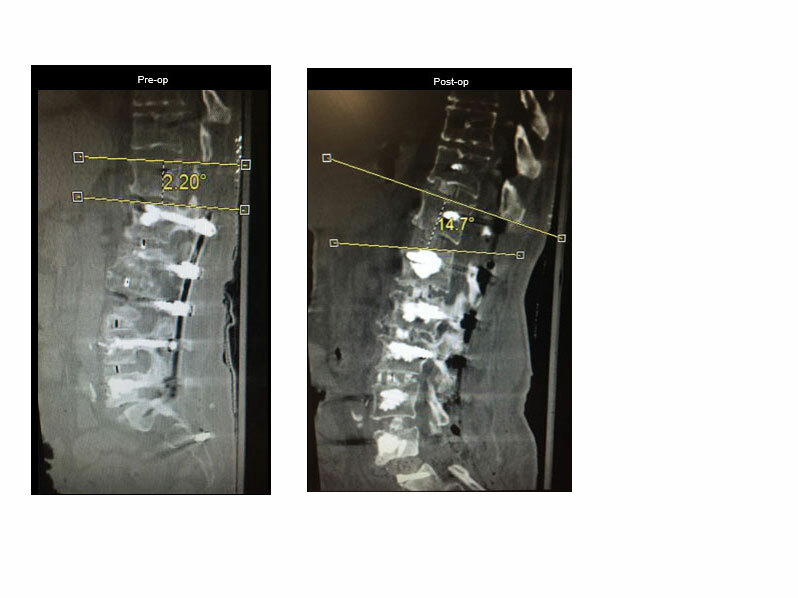 By performing a L5-S1 anterior lumbar interbody fusion with a hyper-lordotic graft, we provided 18° of additional lordosis. 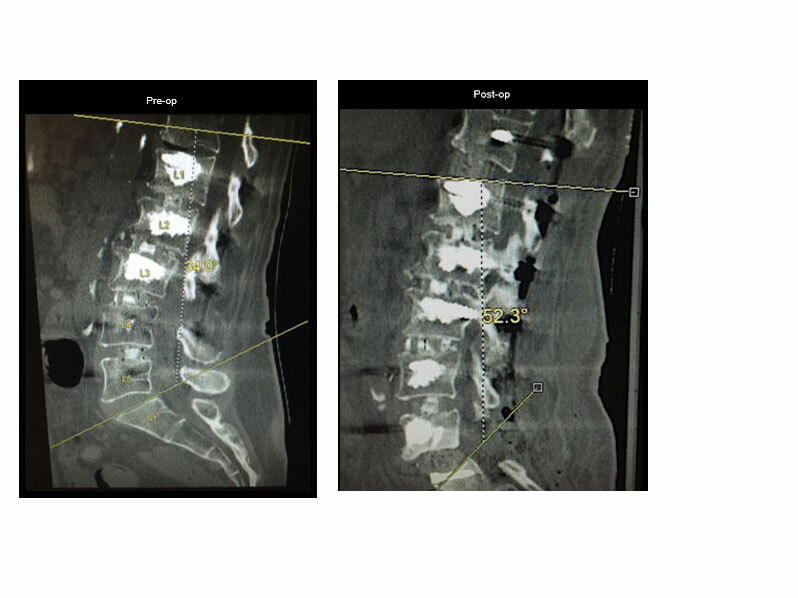 We then performed a T11-L1 lateral lumbar interbody fusion with an anterior column release at T12-L1. 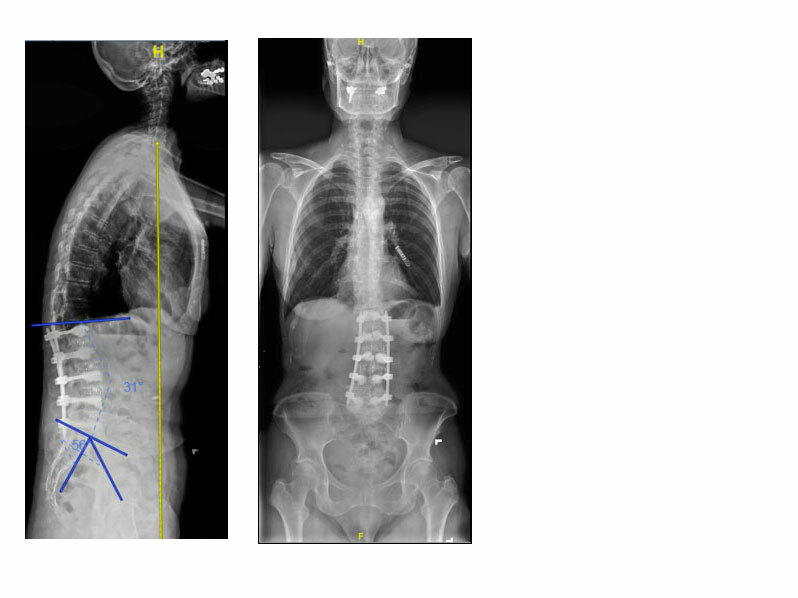 This provided 12.5° of lordosis, as well as a large interbody graft for anterior fusion. By placing a second rod percutaneously we were able to leave the prior fusion construct intact and link into the prior rod using connectors.